Global Impact focuses on making a tangible difference in the lives of the world’s most vulnerable citizens. 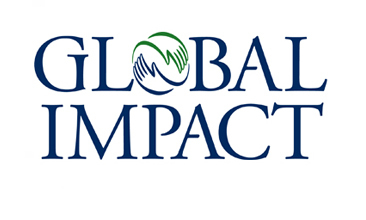 Founded in 1956, Global Impact represents many of the most respected U.S.-based international development and relief charities. Every year, its charities touch more than 400 million lives in virtually every developing country through disaster relief, education, health training, and economic programs that promote self-sufficiency. They get results by providing the tools for people to help themselves. You may contribute to Global Impact itself or directly to the member organizations listed in this section. Specific donor designations are honored. Designations to Global Impact, as well as general contributions, are distributed proportionally based on each charity partner’s designations in the campaign. Administrative/Fundraising Percentage: 3.1% according to latest IRS form 990 filed for 2016. For more information contact the organization at (800) 836-4620.